Just like Vera Sidika, Socialite Corazon has started showing off her expensive stuff that, according to her, her multi-millionaire Nigerian tycoon is spoiling her. 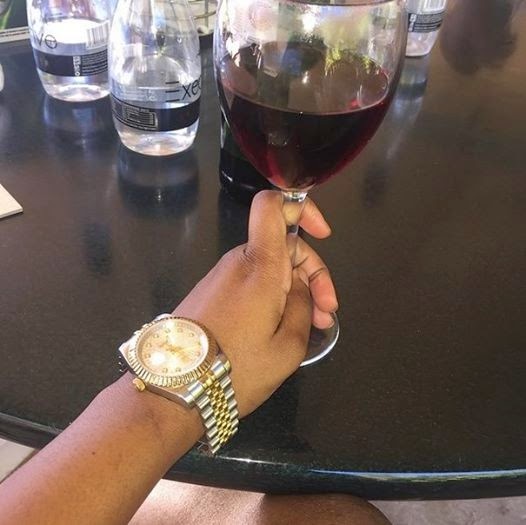 Not long ago, she posted a photo wearing a dress that she claimed cost 1 million Kenya shillings, and now its her Rolex gold watch, which she says cost about 1.1 million. Here is the photo she posted with caption.